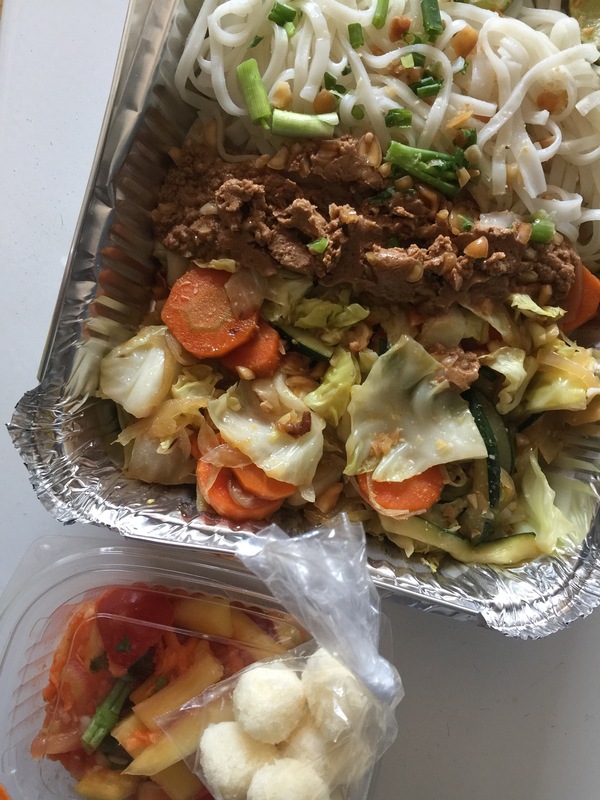 Last week I tried the Abracadabra lunch deliveries. I checked out the menu before the online ordering deadline, but couldn’t decide… so I ordered deliveries three days in a row. 🙂 Sometimes I am unintentionally brilliant. Each day’s meal was different, filling and healthy. And I loved not having to stop in the middle of day to dig something halfway decent out of the fridge, but that was just an added bonus. 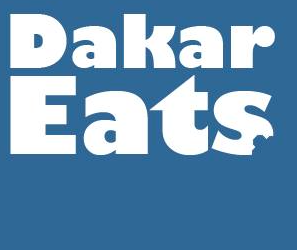 – A lowered price of their basic meal to 4,000 CFA, plus now offering daily optional add-ons such as desserts or side salads. You can select these add-ons on the order form. – Delivery to new locations and new routes. You pay delivery once for each stop, no matter how many orders — so tell your colleagues! – Reusable containers now available! For an extra 300 CFA per order, your lunch will be in a reusable container. Just rinse out the container and return it to the driver on the next day. Place your order for the week by Monday 5pm, and receive your meals between 12 and 1pm. The total price of your meal is 4,000 + add-ons + delivery. SEE THE MENU FOR NOV 29-DEC 1. Next Dakar Farmers Market: Happy Holidays edition!